In the eyes of a passionate artist, paint brushes are seen as one of the most sacred tools that aid in bringing their imagination to life! 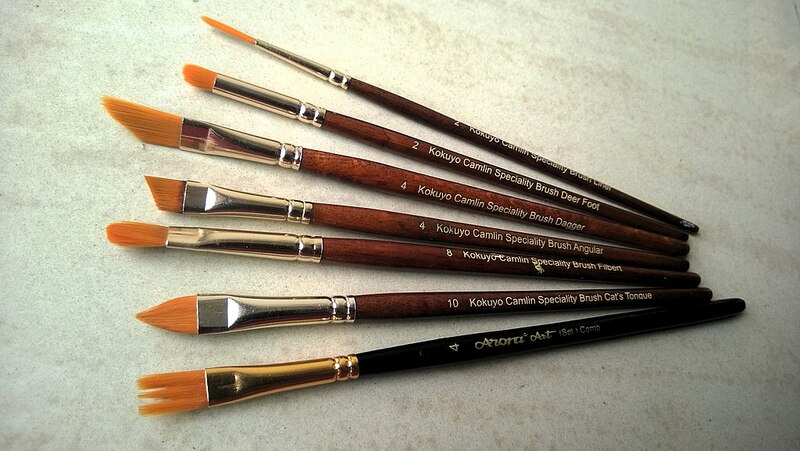 If you are new to the hobby, then it is possible that you might be confused as to which brush you should be using and when. Here are a few tips. If your picture has areas of detailing to fill in, this brush is the ideal option. The brush works best with thin paint rather than thick. Also, keep in mind that the more you press it down the thicker the line becomes. This brush has medium to long hairs and a square edge. It can be used to fill in wide spaces, painting stripes, varnishing and bold strokes. The hairs on this brush are quite short. The tip is flat with round edges. This is perfect when working up close rather than holding the brush away from the canvas. This brush is flat and has hairs that spread. This is best when it comes to painting leaves and clouds. The synthetic brush can be used for texture while the natural brush can be used to blend in colours. Visiting the Sri Lankan Art Gallery will give you a glimpse of good Sri Lanka art and help you recall which brushes have been used in the elements of the picture. Next Post Unique things to do in Dubai – one for the books!